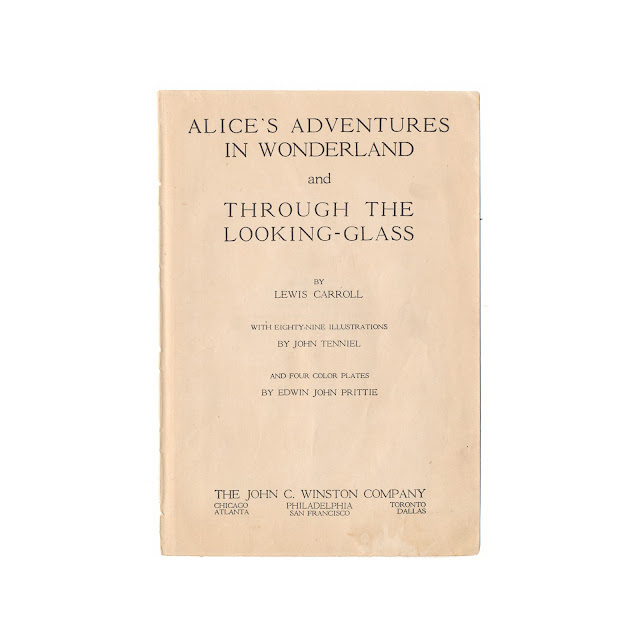 This antique color print comes from a disbound edition of "Alice's Adventures in Wonderland / Through the Looking Glass" by Lewis Carroll. It was published by the John C. Winston Co. in 1923 and measures 5.5 x 8 inches. 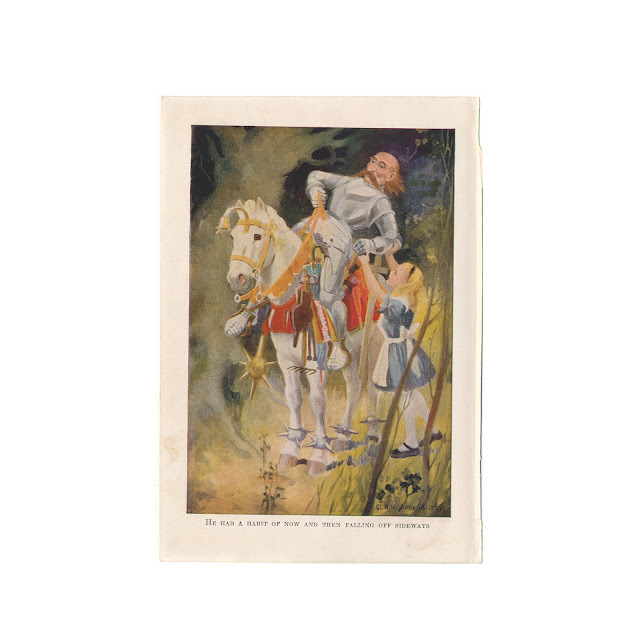 It is titled "He Had a Habit of Now and Then Falling Off Sideways" and features Alice and The White Knight. The illustration is by Edwin John Prittie.